With these simple hatching styles you can hatch your vector objects in Affinity Designer or Affinity Photo. Affinity Publisher Beta seems not working yet (previews looks strange on my machine). 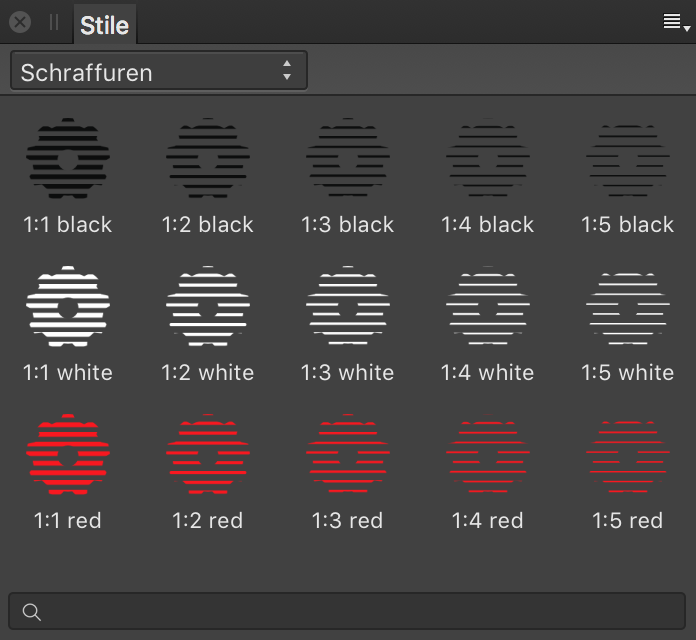 With the red styles you can easily change the color of the hatching while using an adjusment layer recolor. Just a sample on how to use the hatching styles. Thank you so much for these tools. I have been looking for something to accomplish this task that was this simple. Much appreciated. I will add for anyone who is unsure how to import these tools that if one goes to the "Styles" tab there is a tool selection icon that drops down the option to Import Styles Catagory.